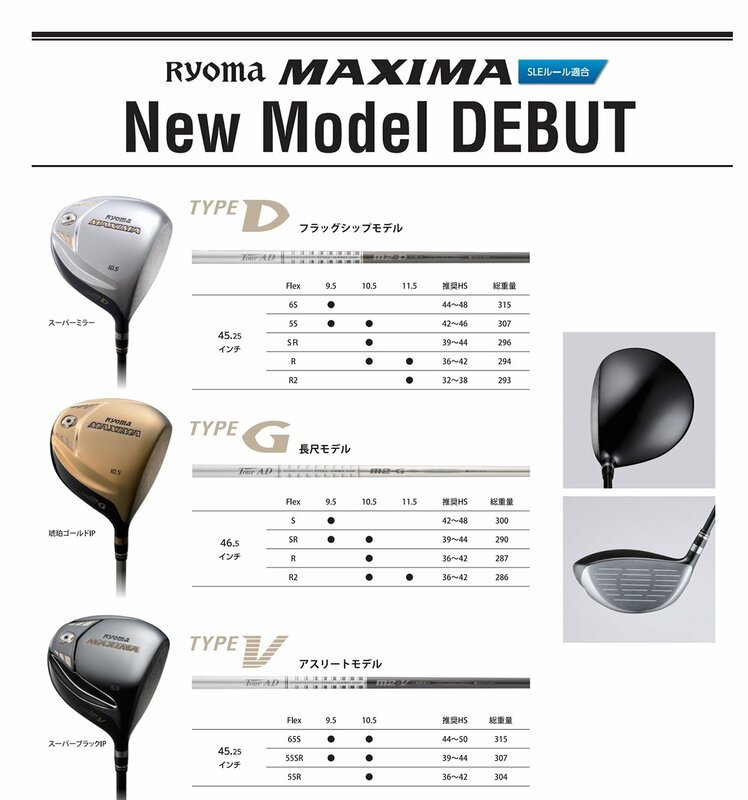 The New Ryoma Maxima Driver 2016!!! The New 2016 Ryoma Maxima Driver – Back in March we sat down with Mr. Tanihara President and Designer of Ryoma Golf a man who we consider a genius and separate from the traditional golf industry in Japan with a background in medical science and technology. During our meeting he pushed across the table a couple of new prototypes and asked us not to take any photos, what I had in my hands was the next generation 2016 Ryoma Maxima. This club is three years in the making as Mr. Tanihara wanted to see large tangible improvements over his competitor’s performance. Everything was re-evaluated and designed completely from the ground up starting with the material and featuring new manufacturing methods. Our companies policy is to only release a new product when there is a performance difference from previous versions. The new 2016 Maxima is the first driver to be released in three years following the D-1 in 2009 and the D-1 MAXIMA in 2013. The New 2016 Maxima driver’s greatest features are the world’s lowest center of gravity and the high rebound initial velocity. The New “2016 Ryoma MAXIMA” is a complete revision of the original design. It further improves on the company’s own patented DSI technology and has achieved the astounding feat of outperforming its famed predecessor by a distance of 10 yards on each shot. Designed using an unprecedented new forging method involving a new technique that utilizes every last gram of head weight to create the best distance driver in golf today. An “under press Cup crown” featuring a bend angle of up to 130 degrees was created, which is impossible for all other titanium alloys. The welding position has been substantially lowered, and extremely high-density 17g tungsten powder was employed in the design of the new “anti-roll power booster”. A lowering of the center of gravity corresponding to a score line interval of 5mm per club was implemented while maintaining the deep face shape, which achieved a low center of gravity rate of 50%. Compared to ordinary drivers from other companies, the back spin has been reduced by 900 rpm on average. Also the average initial velocity was improved by 3.8mph as a result of the strengthening of the spring effect extending across the body. Our company has created an unrivaled high-performance club that belongs in a new category of its own. By continuing to create products that perform beyond their price, we strive to remain a producer trusted by golfers.